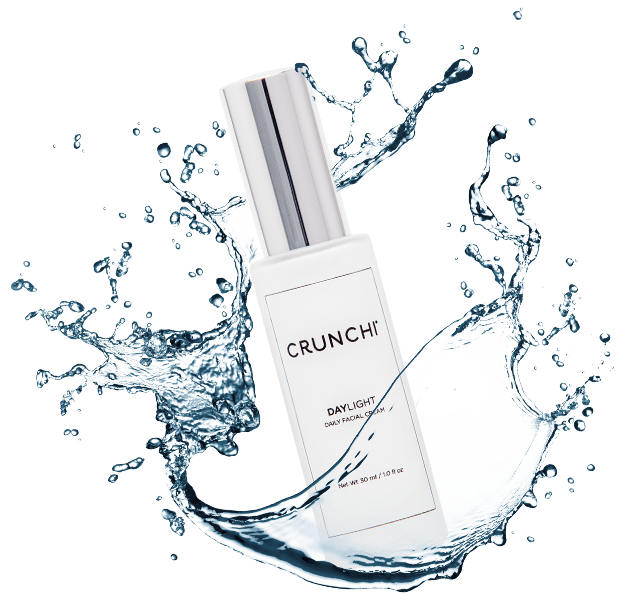 Powerful sea kelp extract in Crunchi Daylight plumps and firms the look of your skin for an ageless appearance. "I did not know it was possible for a skincare product to work this fast at improving how my skin appears and feels." Daylight's ingredients work together to restore hydration on contact and throughout the day, giving your skin a recharge just when you need it most. Lightweight, nutrient-rich organic jojoba, sunflower, avocado and sesame oils soften and moisturize skin promoting true harmony. Antioxidant-packed organic acai, goji, thyme and rosemary help protect from environmental stressors, and organic sweet orange oil provides a subtle, uplifting and refreshing scent. Made with gluten free ingredients to accommodate individuals with Celiac Sprue and those with gluten sensitivities. 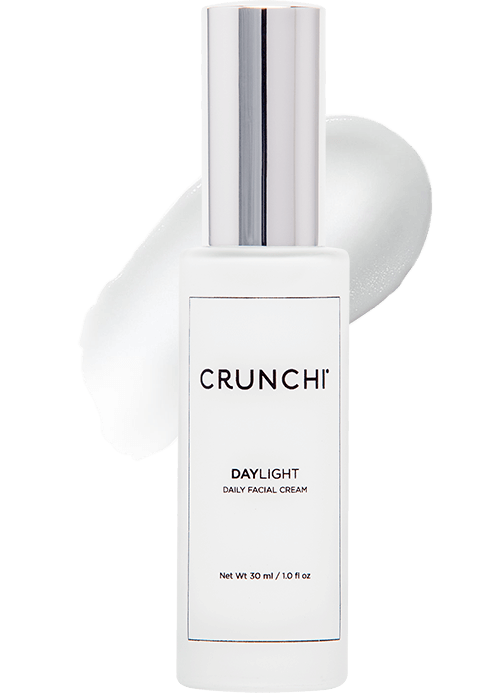 Daylight Facial Cream is made with ingredients considered certifiably free of genetically modified material. Each ingredient was carefully selected for safety and is free from our documented Blacklist. This is no coincidence. Daylight’s formula is designed to layer perfectly under Crunchi’s Iconic Smart Primer and Beautifully Flawless Foundation to result in pure complexion perfection. I've used a lot of skin creams on my face which is prone to eczema outbreaks. With Daylight my skin felt smooth all day without any harsh reaction. Between the amazing fragrance and awesome feel, I am hooked. 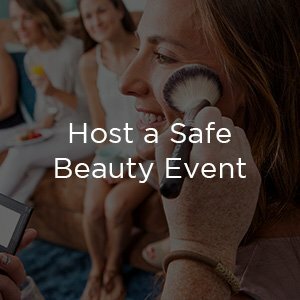 Safe skin is in! 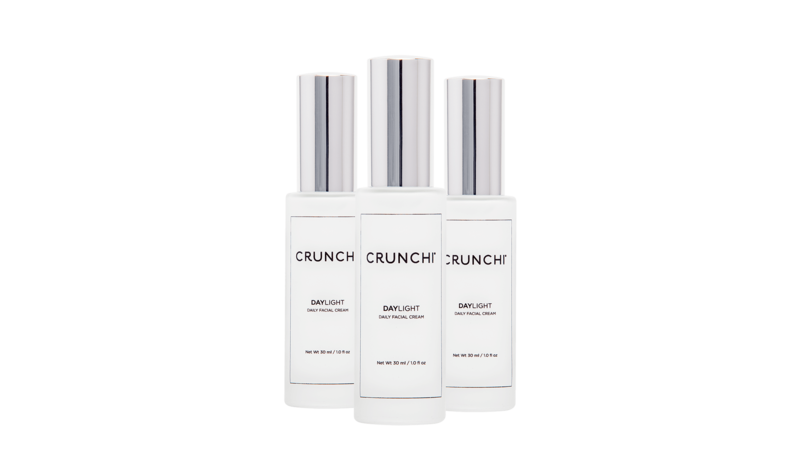 Your skincare routine just got a whole lot cleaner with the introduction of Crunchi Daylight. Powerful sea kelp extract plumps and firms the look of your skin for an ageless appearance. 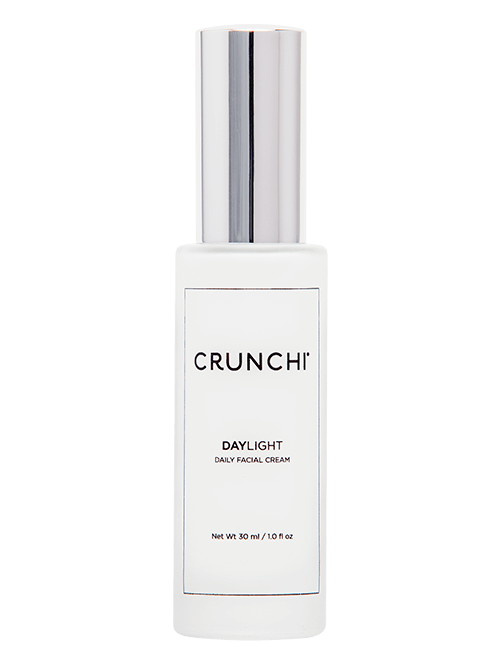 Daylight's ingredients work together to restore hydration on contact and throughout the day, giving your skin a recharge just when you need it most. Lightweight, nutrient-rich organic jojoba, sunflower, avocado and sesame oils soften and moisturize skin promoting true harmony. Antioxidant-packed organic acai, goji, thyme and rosemary help protect from environmental stressors, and organic sweet orange oil provides a subtle, uplifting and refreshing scent. 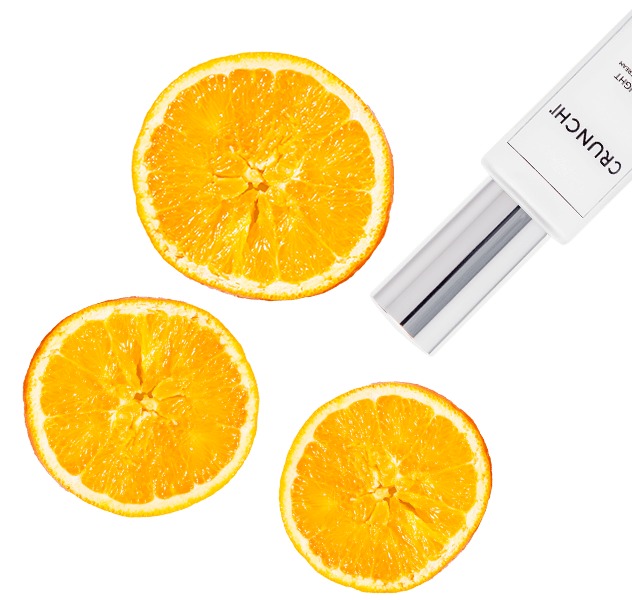 Daylight’s formula is designed to layer perfectly under Crunchi’s Iconic Smart Primer and Beautifully Flawless Foundation to result in pure complexion perfection. Apply daily to freshly cleansed face, neck and décolleté. Great for all skin types. 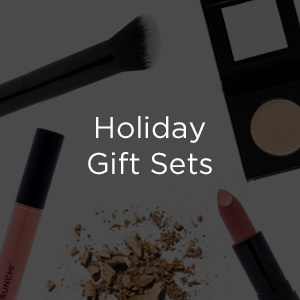 Wear Daylight alone or under Smart Primer and Beautifully Flawless Foundation. This incredible daily moisturizer is not just for women; men need safe skin too!